I know I just released my Fall Do-a-Dot printables two days ago, but I’ve got so many awesome printables I want to release in the next few weeks that I’m back today to share another do-a-dot printable. 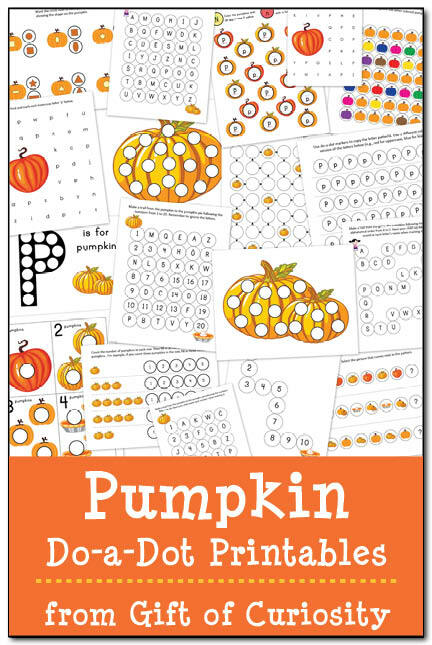 This time, I’m releasing my Pumpkin Do-a-Dot Printables pack. With pumpkins about to descend on us from all over, these worksheets are perfect to complement any learning you are doing related to fall, Halloween, or Thanksgiving. I hope your little ones will enjoy using my Pumpkin Do-a-Dot printables as much as I enjoyed creating them! 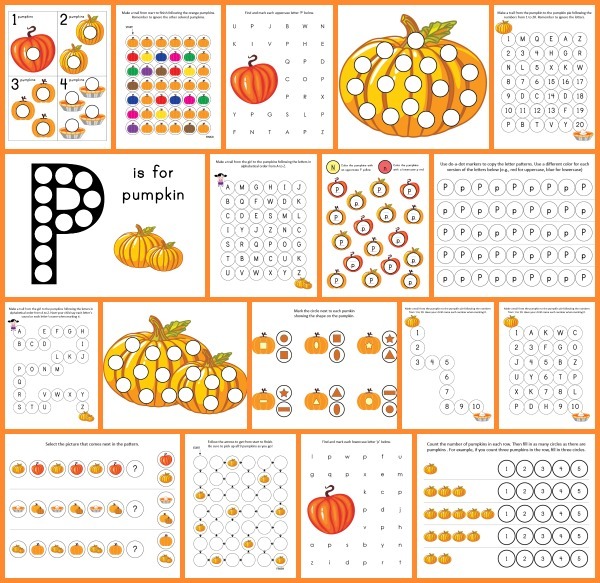 My Pumpkin Do-a-Dot Printables pack contains 18 pages of pumpkin do-a-dot worksheets. As kids complete these worksheets, they will work on one-to-one correspondence, shapes, colors, patterning, letters, and numbers. 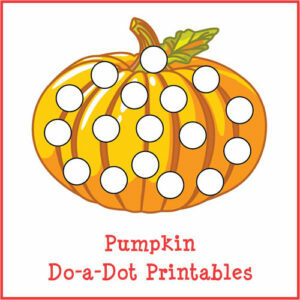 The activities in my Pumpkin Do-a-Dot Printables pack are designed to be completed using do-a-dot markers . What should you do if you do not own do-a-dot markers? Obviously you can purchase them, but there are still plenty of ways to enjoy my Pumpkin Do-a-Dot Printables without do-a-dot markers. In this post I’ve shared lots of ways to use do-a-dot printables to support your children’s learning, with plenty of ideas for kids from toddlers through elementary school. Want a copy of my Pumpkin Outlines? For more pumpkin activities and fall-themed printables, see my Halloween activities for Kids page and my Fall Activities for Kids page. Your ideas are always well planned out and I am able to use them as an ESL teacher, Maths developing and language development for students with learning difficulties. I am in Australia and your themes apply nicely, some may need a little tweeking for our curriculum, but not many. I’m glad my ideas can be useful even Down Under! Great printables thank you. I have featured them on this weeks Kids Co-op. I just discovered your blog and I love it! I’m really excited to try some of your idea and printables with my preschooler.